Do you procrastinate and find excuses to delay doing certain things, even when you know they really ought to be done? And you probably realize that starting those projects is usually the hardest part, eh? Well, I finally started converting hundreds of my SAS examples to use the new GfK maps, and I thought I'd share some tips to help you get started too! 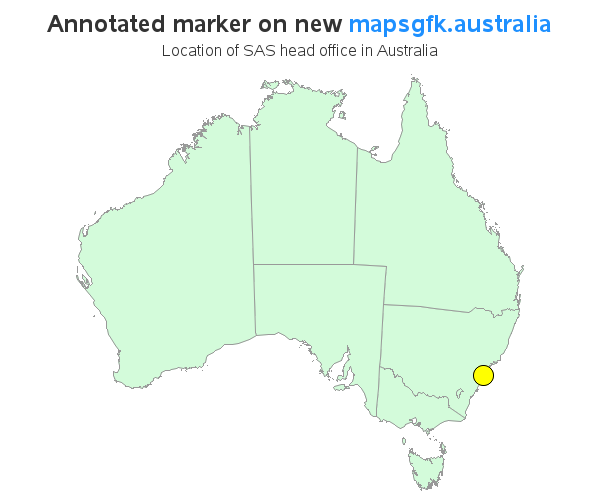 And now, let's get you switched over to start using the new GfK maps in your SAS jobs! 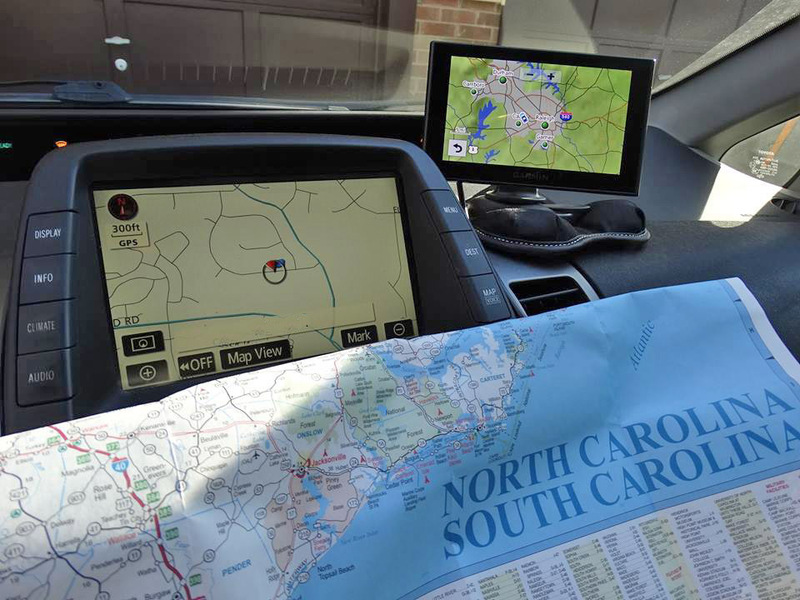 These tips will specifically benefit users who have been using unprojected map coordinates, and projecting them with Proc Gproject ... and also maybe annotating markers on the maps at specific lat/long coordinates. Since the early days of SAS/Graph, we have been shipping maps of the world, continents, countries, etc in the maps library. These maps had names like maps.world, maps.namerica, maps.austral, maps.states, and maps.counties (note that the names are all 8 characters or less, because that was the length limit for dataset names back in the old days when we first start shipping maps). Some of the old SAS maps were getting outdated (over the years, borders sometimes change, as well as names of countries, regions, etc), so we started looking for new/updated maps. We made a deal with GfK GeoMarketing GmbH to redistribute a copy of their maps with our software, and those are the maps you see in the mapsgfk library. You'll notice that the mapsgfk datasets have longer names (since SAS isn't limited to 8 character names these days), the X/Y variables are consistently the projected coordinates, and unprojected coordinates are stored in Long/Lat variables. Also, the Long/Lat values are in eastlong degrees (rather than westlong radians) - this is much more intuitive and familiar for most people. The new GfK datasets also already have a density variable in them, so you don't have to run Proc Greduce to simplify the borders. 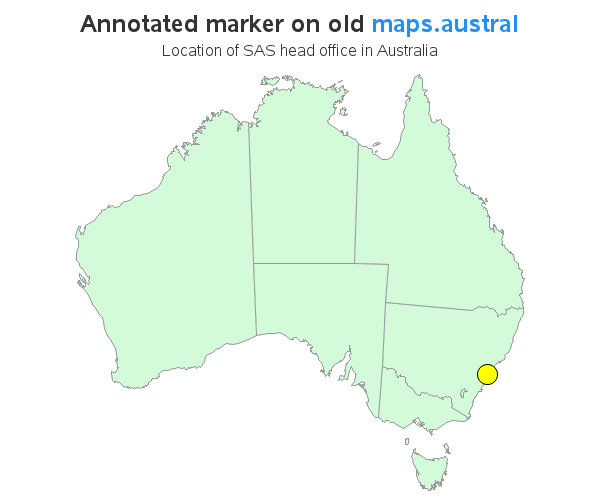 Here is a simple example that demonstrates how to plot a marker at a lat/long coordinate of the SAS head office in Australi, using the old SAS maps. Follow along in the code-comments, and pay special attention to the red colored code, to see what's different in the code in the traditional/old SAS maps, and the new GfK maps. the internal borders (id) and use a higher-level border (id1). The new GfK maps are updated on a continual basis, and are therefore more accurate. The new maps are more consistent (Lat/Long are always unprojected, and Y/X are always projected), therefore it's easier to write re-usable code. Proc GProject has been enhanced so that it can be used directly on the Lat/Long variables in the GfK maps, by specifying the 'latlong eastlong degrees' options ... which makes using the GfK maps easier and more intuitive. The new GfK maps already contain the 'density' variable, so you don't have to run Proc Greduce. The GfK maps tend to show more detail. That's generally preferable (but sometimes you might need to get rid of small/outlying islands, by using Proc Gproject to clip out just the geographic area of interest). Nice! Thanks for the great work. I love the illustrative explanations. I am sending this on to our users. I think this will be very helpful for those renovating code! I like the background explanations.